For Corporations who want to inform their strategic decision-making based on real customer truth. 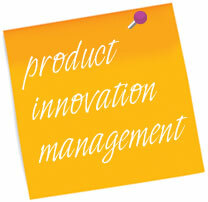 Product Innovator has developed a Customer Insight Process that gets to the bottom of what your customer really thinks. Our proven processes and techniques engage customers and prospects, fully encouraging them to speak their minds, providing rich, in-depth, factual insights that drives successful decision-making. Using Product Innovator’s ChryslerTM Customer Insight Process, we qualify and validate customer pain points to fully inform strategic decision making for their new product or service. Product Innovator’s work with AMT on a positioning project, in particular the in-depth interviews that they carried out with a number of our customers and prospects, yielded highly valuable insights into our position in our customers’ minds. The results of these interviews also highlighted future potential revenue opportunities for AMT. We are happy with the result of their work and would certainly consider them for future engagement.